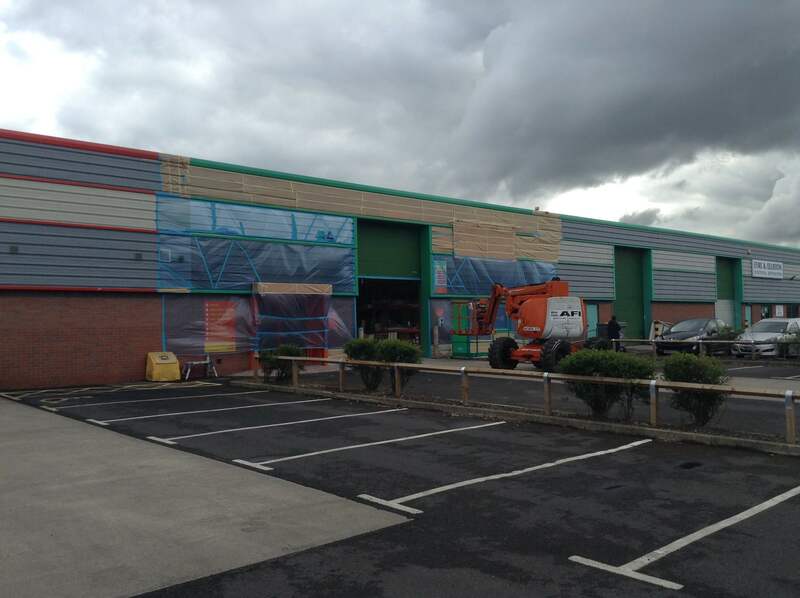 Re-coating External Metalwork at Electric Center Castleford. The cladded sections were masked and the existing trim was accessed by a boom lift. 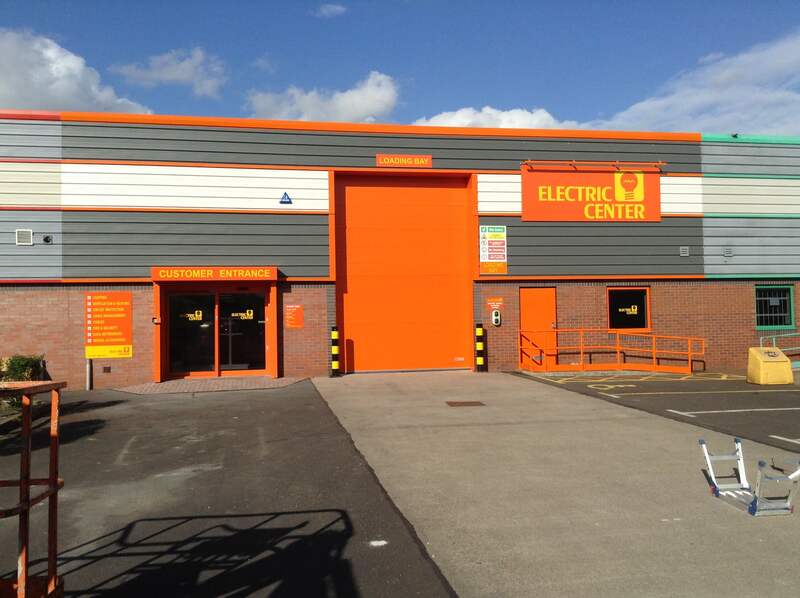 The external trim, roller shutters window, door and handrail we all recoated to Electric Center’s orange colour. The work was completed in a day and the unit was ready to trade the following morning.